Control your company image with embroidered workwear! Made with a breathable 96/4 polyester/spandex shell, a wind- and water-resistant middle layer and a polyester microfleece interior. Spandex-enhanced material allows you to move around easily and unrestricted. Adjust the jacket as the weather changes with the adjustable tab cuffs and drawcord open hem. Right chest pocket and side zip pockets provide extra storage for keys, tackle and other items. The contrast Eddie Bauer® logo is imprinted on the right chest for co-branding success. 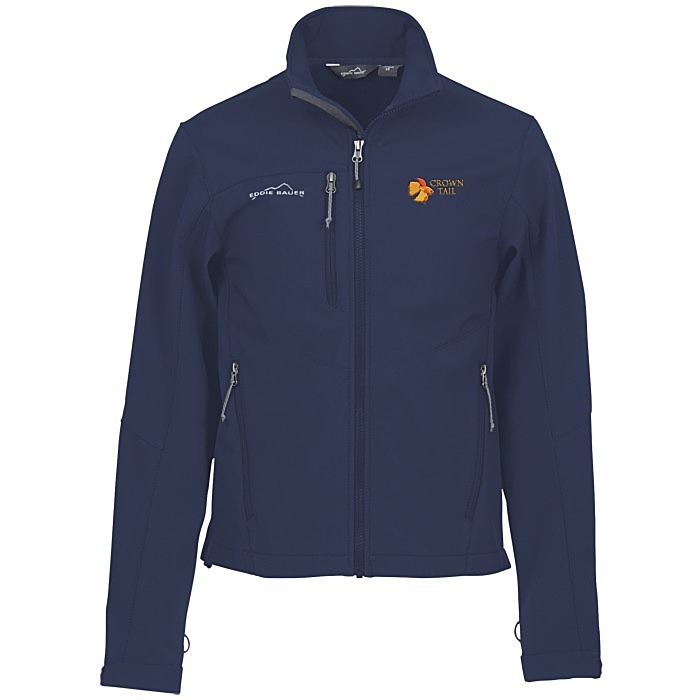 For the coordinating ladies’ jacket, see item #116566-LEddie Bauer Soft Shell Jacket - Ladies'.